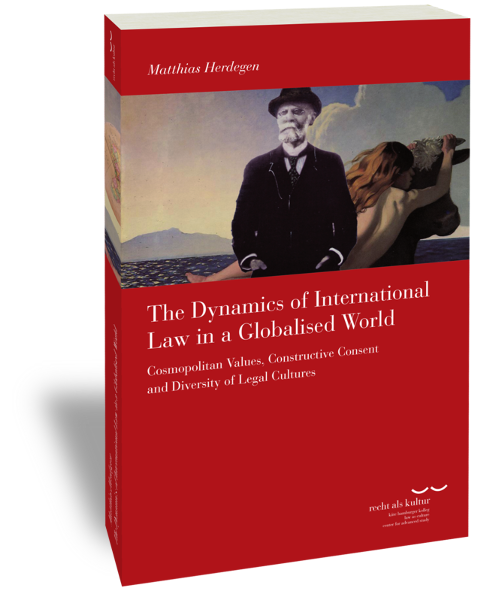 In the process of globalisation, international law plays a crucial and ambivalent role. It is one of the driving forces behind the integration of markets, expanding standards of human rights and good governance as well as mechanisms for international peace and security. International law also responds to a globalised world which catalyses not only universal ethics, but also the global spread of risks to political and economic stability. "Evolutive interpretation" of international agreements affects traditional concepts of sovereignty and democratic legitimacy. It enhances the power of technocratic elites. At the same time, we witness an intensive interplay between the different sectors of international law; new layers of 'hard' and 'soft' normativity as well as intriguing forms of legal pluralism. "Möglicherweise macht es Herdegen jungen Studenten mit seinem interdisziplinären "Völkerrecht der Globalisierung" nicht gerade einfach; den Völkerrechtspraktikern, die gezwungen sind, mit neuen Entwicklungen, auch der Globalsierung umzugehen, hat er einen Riesendienst erwiesen. Sie werden es ihm zu danken wissen!"